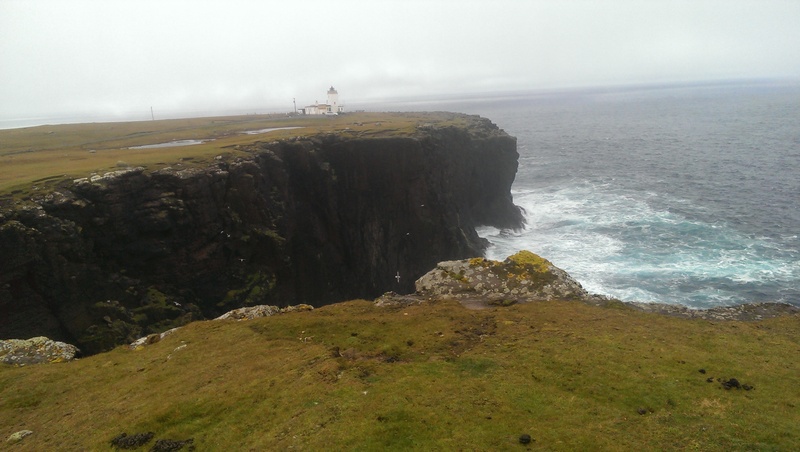 I recently got back from a ten-day trip to Scotland with my family, featuring castles, ruins, foggy cliffs, beautiful vistas, and many, many sheep. I’d hoped the trip would serve as a mental reset of sorts. Last month I had to get a bunch of medical tests done (nothing bad turned up, thankfully) leaving me stressed and feeling generally negative. Combined with the writing project I mentioned in my last blog not going well and being sick to death of The Wildfire Crown, I wasn’t feeling great about myself and needed a new environment to try to get some fresh perspective. 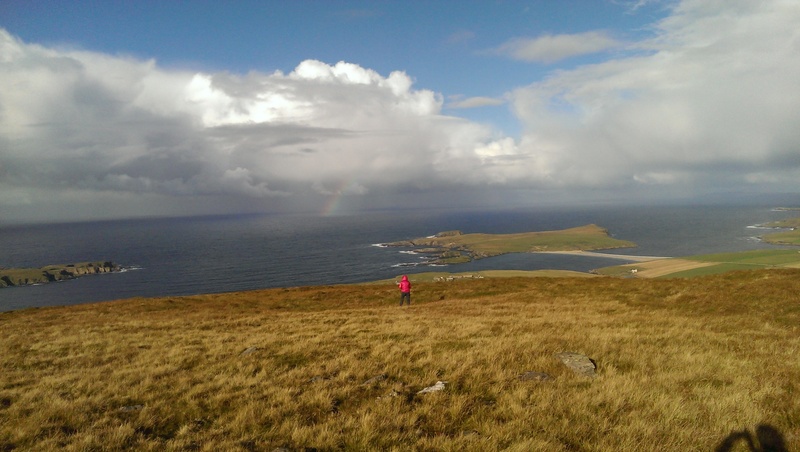 Ten days of incredible views and wandering about centuries-old castles did exactly that. Writing’s been going great since I got home. I’m editing Wildfire in preparation for getting it to an editor in December, and working on plotting my next novel, tentatively titled The Lanterns of Shadesmere. I’ll get started on the actual writing of that project when I attend David Farland’s Writers Mastery workshop next week. Alnwik Castle (the ‘l’ and ‘w’ are silent) is where they filmed the exterior shots of Hogwarts for the Harry Potter films. It offers a very complete castle-experience. 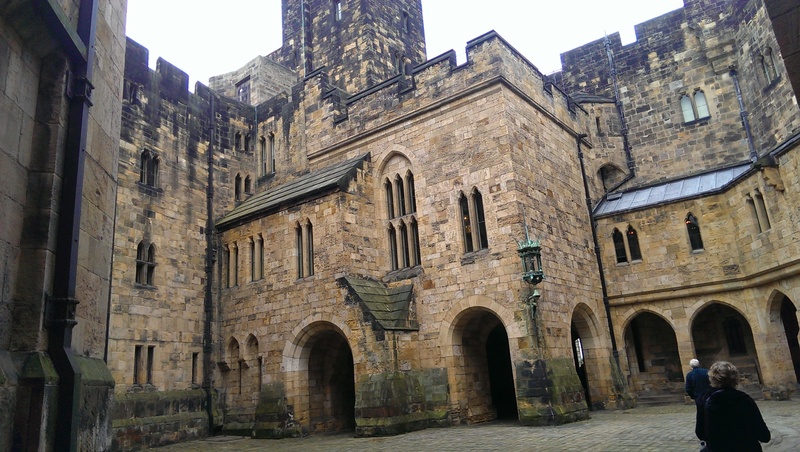 Massive courtyards, a long outerwall and rampart, an ornate dining room filled with so much art and craftmanship it feels more like a museum than a place people would actually eat, and even a suitably dank-and-dark dungeon. My favorite part of the trip. 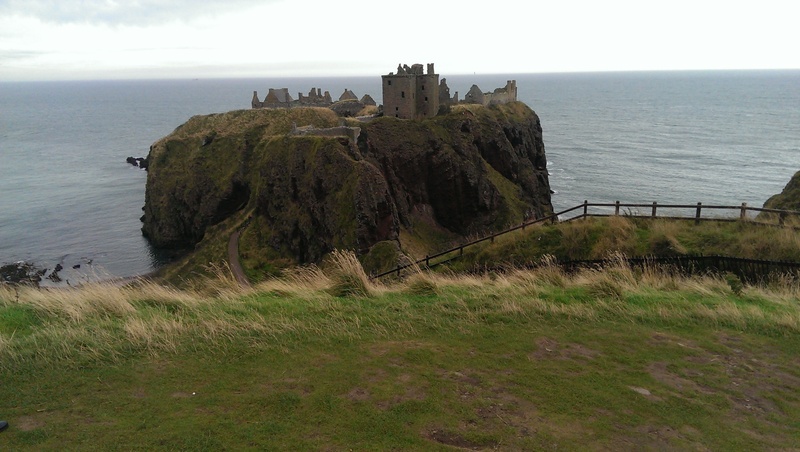 Dunnottar Castle is a ruin sitting on a little lick of land on the ocean connected to the mainland by a narrow land-bridge. It’s moss-covered and dark and wet and you can hear the wind and ocean and there are hardly any signs / ropes preventing you from exploring it. The atmosphere there is one of those you can’t capture in picture or words, but it’s the type of ruined castle I’d only dreamed about existing before. It’s a place that tugs at your imagination as if it demands you to find a story here. I’d love to be able take my laptop there and find a quiet corner and write. My second favorite after Dunnotar Castles. 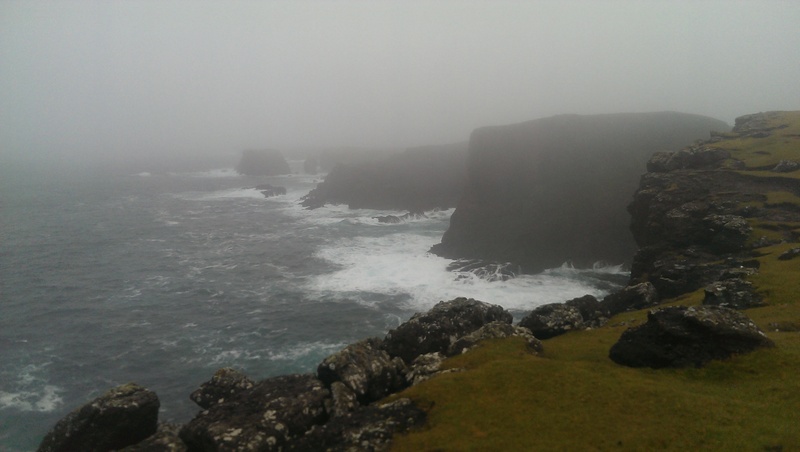 Huge, foggy cliffs sitting in the Shetland Islands with hardly a sign of human habitation. The drop here is as intimidating as I’ve ever seen, as much for the length as the cold, angry ocean crashing below. We wandered around for an hour or so, walking up and down. The walk up was so foggy we could scarcely see a hundred feet in front of us, but by the time we went back it had cleared up and we were treated with a view of the entire shore-line. Absolutely unforgettable. This was a cool surprise. We spent two days being led around by Hugh, our properly Scottish tourguide who was witty, knowledgable, and brilliant in pretty much every way possible. He took us to a tiny little town with about four houses and up a one way road to an old church. From the outside it was about the most boring looking building imaginable, a plain white rectangle. 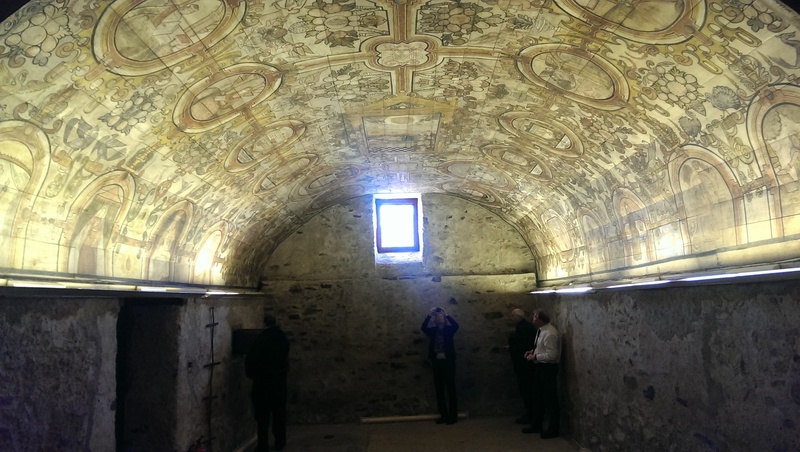 But then you step inside and look up and are greeted by this extraordinary painted ceiling that seems to come out of nowhere. It’s amazing that places like this still exist. This entry was posted in Travel, Writing. I bet scotland was great. I was on a family trip to Ireland in 2009. That was amazing and I wont ever forget it. Also I saw the section about Ender’s game. I REALLY REALLY need to read that book before it gets spoiled for me.